Newly colorized versions of two classic Lucy episodes will air on Apr. 19. If you're dreading Tax Day—and who isn't?—fear not! The one and only Lucille Ball will be returning to your TV sets for a hilarious new one-hour special to wash those blues away. The I Love Lucy Funny Money Special, airing on Friday, Apr. 19 at 8/7c on CBS and CBS All Access, will feature two back-to-back classic episodes, now in full color and seamlessly combined. The two episodes, "The Million-Dollar Idea" and "Bonus Bucks," are newly colorized with a nod to the tones of the 1950's period in which they were filmed. As with previous Lucy specials, the main titles and end credits are seamlessly combined at the beginning and end of the hour with no interruption between the episodes, making for one easy-to-watch program. Who's in the cast of the I Love Lucy Funny Money Special? I Love Lucy, of course, stars Lucille Ball and Desi Arnaz as Lucy and Ricky Ricardo, and Vivian Vance and William Frawley as the Ricardos' best friends, Fred and Ethel Mertz. What happens in the I Love Lucy Funny Money Special episodes? In "The Million-Dollar Idea," originally broadcast on Jan. 11, 1954, Lucy and Ethel attempt to get rich quick by bottling Lucy's homemade salad dressing. A commercial pitch on a local TV program results in hundreds of orders, but Ricky soon determines that the ladies are not charging enough to cover the cost of production and distribution. They decide to fill the initial orders and get out of the business fast, but a second TV appearance, designed to discourage additional sales, results in even more orders! In "Bonus Bucks," originally broadcast on Mar. 8, 1954, it's the Ricardos vs. the Mertzes when both couples claim ownership of a dollar bill worth three hundred dollars in a newspaper's "Bonus Bucks" contest. To save their friendship, they decide to split the winnings, each couple keeping half the actual bill until it can be redeemed. Unfortunately, Ricky puts the Ricardos' half of the dollar in his pajama pocket—which Lucy unwittingly sends to the laundry. When is the I Love Lucy Funny Money Special? The one-hour special, featuring two back-to-back colorized episodes, will be broadcast and streamed on Friday, April 19 from 8:00pm to 9:01pm ET/PT (7:00pm to 8:01pm CT). What else should I know about I Love Lucy? I Love Lucy was broadcast on CBS from Oct. 15, 1951, through June 24, 1957. It was voted "The Best TV Show of All Time" in a 2012 viewer poll conducted by People Magazine and ABC News. How can I watch or stream the I Love Lucy Funny Money Special? It's easy. You can watch the Masters on CBS and CBS All Access, which is available on iOS devices (including iPhones and iPads), Android devices (including phones and tablets), Apple TV, Google Chromecast, FireTV, PS4, Roku, Xbox, and many more! 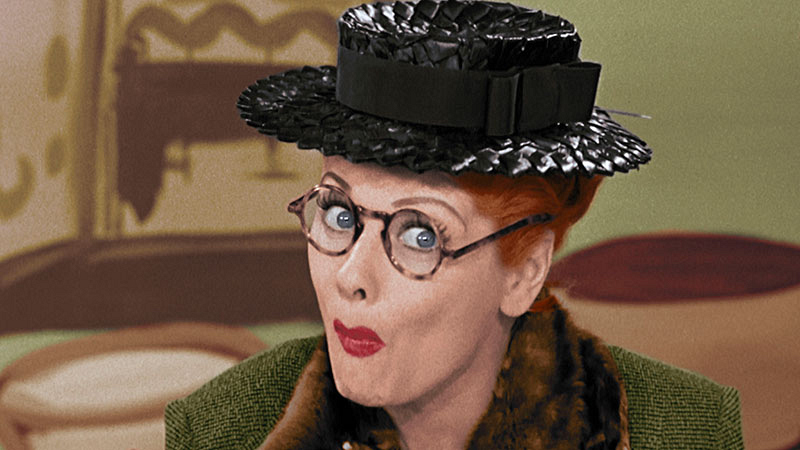 Not only will CBS All Access let you stream the I Love Lucy Funny Money Special, you'll also get more full episodes from I Love Lucy and other iconic series like Cheers, The Brady Bunch, Hawaii Five-0 Classic, Happy Days, Perry Mason, and so many more! Of course, CBS All Access gives you thousands of episodes from today's hit CBS shows on demand. That includes full episodes from current and earlier seasons of your favorites like Big Brother, NCIS, Survivor, and The Big Bang Theory. Sports fans get loads of live events, including the Masters and PGA Championship, Ice Cube's summer basketball league BIG3, NFL on CBS, SEC on CBS, and NCAA Basketball on CBS. CBS All Access subscribers also get round-the-clock streaming coverage from CBS Sports HQ. Whatever your preference, CBS All Access has you covered for $5.99/month with limited commercials, or you can go commercial-free for $9.99/month. Don't miss the one-hour I Love Lucy Funny Money Special on Apr. 19 at 8/7c on CBS and CBS All Access.